You probably recognized the iconic printed cover of this classic book from the shelf on your grandma's kitchen. This new cookbook has been around since the 1930s. Plenty of new current recipes have been added to the new version of the book, which will meet the needs of today's everyday cooks. 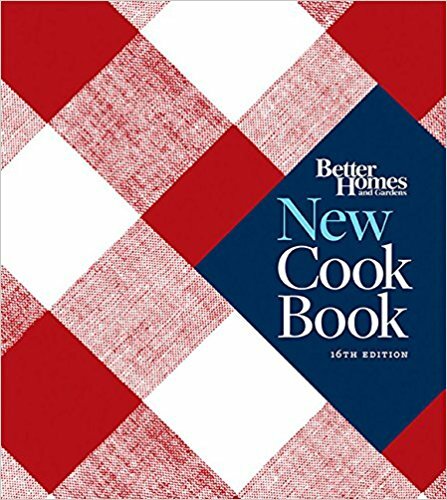 With over 1400 recipes, the Better Homes and Gardens New Cook Book pretty much covers anything you could want to learn from great recipes to preparing and storing food and most importantly goes over the basics of cooking technics. This book gives popularity because the simplicity and ease of these recipes, the new edition includes tons of pictures in color and more tips and how-to information that people will find it easy to follow. Nearly a century later, you just CAN'T GO WRONG with this American classic, at a price that is value for money. I'm sure many of you have heard of this book, some of you may even own it. 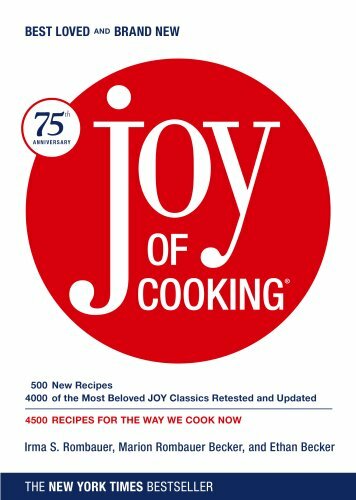 First published 87 years ago, Joy of Cooking is the cookbook your grandmother and mother probably learned to cook from, the book you gave your sister when she got married. No other cookbook on the market includes such a complete range of recipes in every category: everyday, classic, foreign and deluxe. This book above is a revised and updated 75th Anniversary 8th edition, unlike the other editions, The Joy of Cooking 75th Anniversary Edition just like it's original (The Joy of Cooking), which is a bit of a textbook, contains not only recipes, but setting table, wine selection, general information of foods and more. This book is great for sit-down reading/study and there's also a web offering and iOS app for those who prefer digital cooking references. 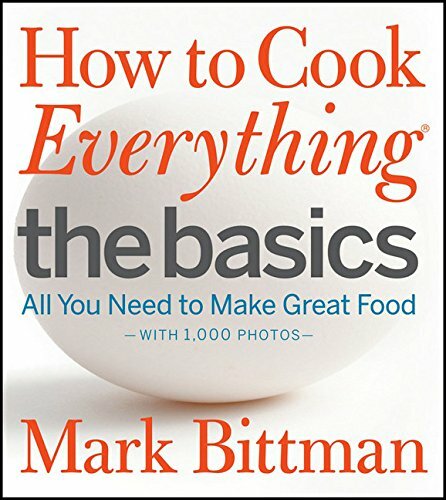 Overall, if you read this book and gain the skills and abilities taught by this book, you can cook almost anything you want. This book is often called the new "Joy of Cooking", which is also written by famous food writer Mark Bittman. He takes the time to explain everything in this book, from delicious recipes, straightforward instructions and advice to basic equipment. 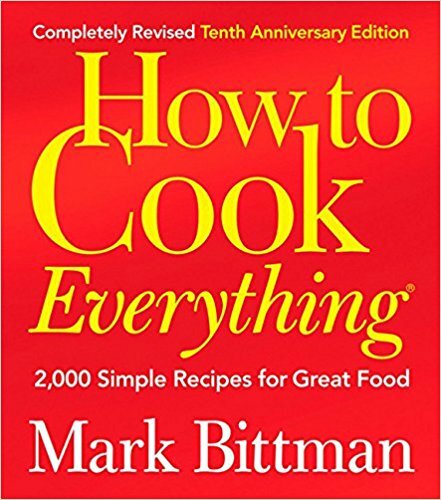 Like many other cookbooks, Bittman doesn’t just list the specific recipes, but tell you how to cook and how cook works and it’s better for all of us to understand and follow. As an everyday cookbook, How to Cook Everything can be a lifesaver if you are still struggling with meal planning for your family. You probably know her for her funny online presents and modeling career. Not to mention being married to John Legend, but did you know Chrissy Teigen is a master for cook? Chrissy Teigen's book is called craving and that gives you an indication what you will find inside. Like most cookbooks, she goes from soups and salads to hearty dinners and party foods, the kinds of food she really love and want to share with all of us. This book is also filled with incredible images of hearty, meaty, cheesy food and the introductions for each recipe, as well as the intro to the book won't let people feel boring like other cookbook, all have a way of making you laugh whenever you reading. As a culmination of everything Teigen has built over the past few years, this cookbook not only helps you make delicious food, but makes you feel true happy. “Angela has taken her vegan cookbook and shown us how truly delicious, colorful and versatile the recipes can be. So many things I want to make! This is a book you'll want on the shelf.” -- Sara Forte, author of The Sprouted Kitchen. If you're trying to go vegan, or simply want to reduce the amount of animal products you consume, this is an excellent book you should never miss. 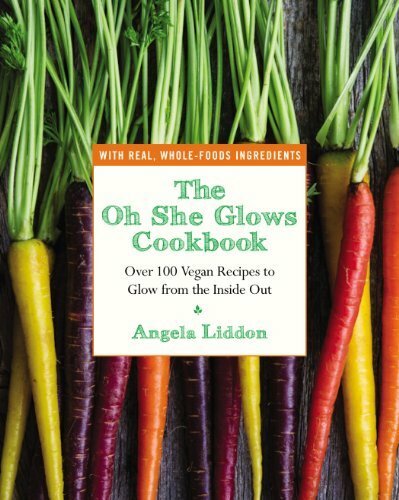 The Oh She Glows Cookbook provides more than 100 delicious recipes, including salads, power snacks, soup, desserts and more. Every recipe in this book has a picture and also includes a little description, so they are practical, simple and easy to use. This book is a must have for anyone who wants to bake cakes. Ms. Beranbaum not only just teaches you how to bake, but explains the chemistry and technical side of baking. All recipes, ranging from basic biscuits to fancy desserts, are explained in detail, even adding the weights of each ingredient. It also provides interesting knowledge about the ingredients, useful baking tips, even the way to store cakes. Ms. Beranbaum has done a wonderful job with this book. 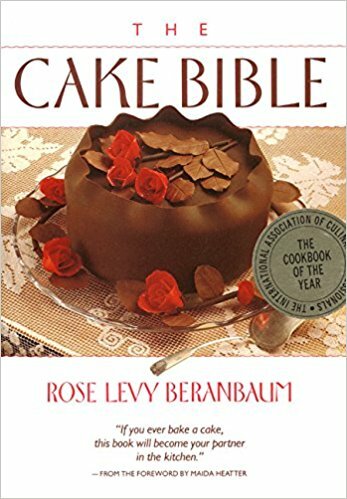 If you want to improve or even just start making great cakes, give this book a try.